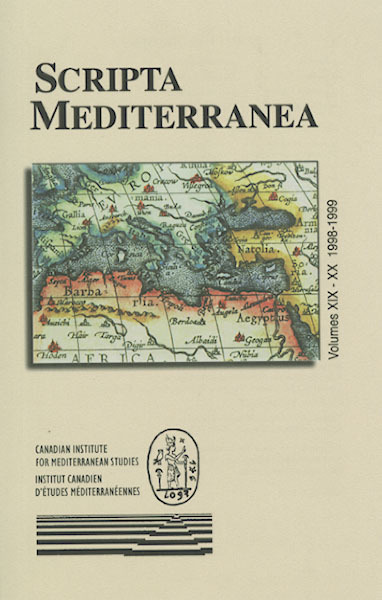 A special edition, co-edited by Brian A. Catlos and Karla Mallette. • The Andalusi Kharjas: A Courtly Counterpoint to Popular Tradition? • The Sortes regis Amalrici: An Arabic Divinatory Work in the Latin Kingdom of Jerusalem? See the journal webpage here.